This is an encore episode that aired originally on April 26, 2014. The field of behavioural economics is a relatively new area of study. While influencing behaviour has been intensely studied by the advertising industry for decades, the subtle motivation now being employed has taken a big leap forward. The classic definition of behavioural economics is to gently steer people toward decisions that improve their lives - while still leaving them free to choose. To get them to take a little step in order to undertake a bigger one. That gentle ushering is based on both the social and emotional factors behind decision-making. In other words, the concept resides at the intersection of economics and psychology. Colours gently influence purchasing decisions. Slowing the buying process down by adding additional steps can be influential. But using a nudge is different. Consumers are not always rational in their decisions, and will many times make a poor decision even when provided good options. And in many instances, the way a question is framed can influence a decision for the better. That's why behavioural economics has also been referred to as "choice architecture." It is the deliberate designing of choices in order to steer someone to a positive outcome. The term "nudge" was first put forth in a fascinating book of the same name by behavioural science professors Richard Thaler and Cass Sunstein. The stories they told not only influenced marketers, schools and shoppers, but governments as well. In Britain, the government tried to encourage homeowners to insulate their attics to save energy costs and prevent heat loss. As part of that campaign, the government put forth compelling economic arguments to persuade the public to insulate. On top of that, generous monetary incentives and subsidies were offered. An attic-cleaning service turned into a money-saving service. (Credit: The Family Handyman) Yet, nothing seemed to work. The public appeared to have no interest in insulating their attics and saving money in heating costs—which puzzled the government. But when they dug further, they stumbled upon the reason for the resistance. Apparently, UK homeowners simply didn't want to clear the junk out of their attics. In the UK, attics are storage spaces. And just the thought of having to clear out their attics was enough for people to forgo the energy savings of insulating. Once the government had isolated that reason, they got to work on an interesting solution. They teamed up with a local home improvement company and offered an attic-cleaning service. With that, the amount of people who insulated soared. 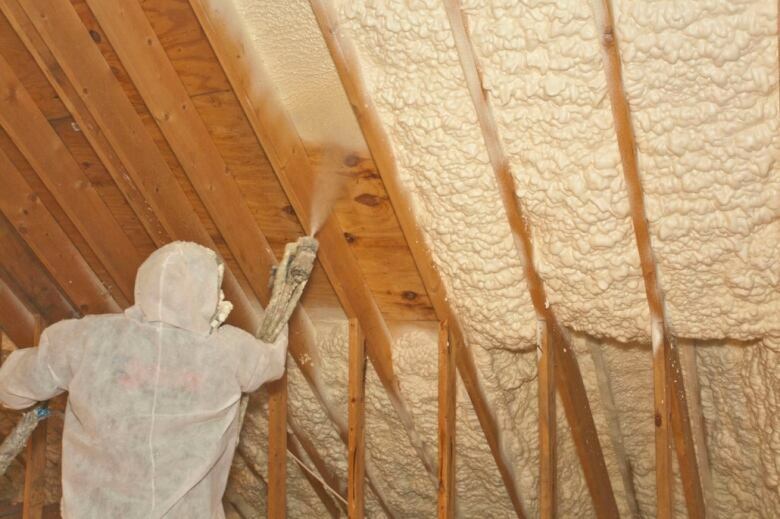 The attic cleaning offer was the "nudge" to get people to do the bigger thing: to insulate. A supermarket in El Paso, Texas, tried their own nudge experiment to see if they could steer people toward healthier foods. A man ponders his self-image in a supermarket in El Paso, Texas. 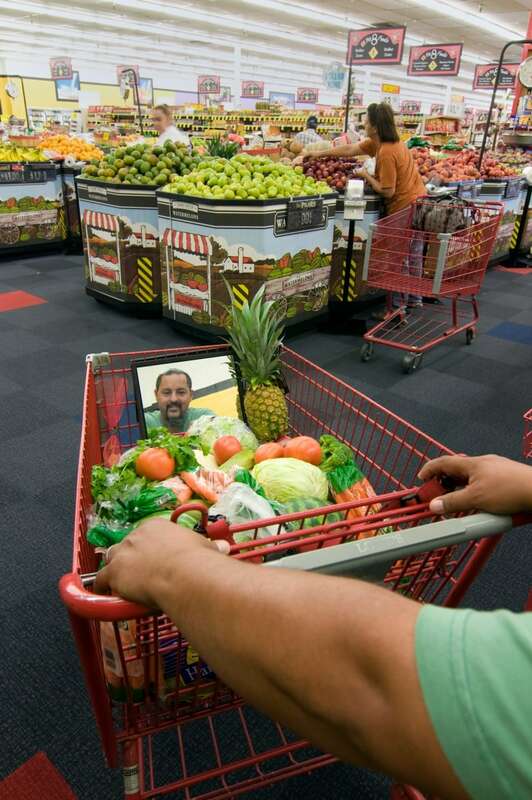 (NYT) It placed a mirror on the inside front of grocery carts, allowing people to see themselves as they shopped. So when people reached for junk food and turned back toward their cart, they saw an image of their double chins in the mirror. 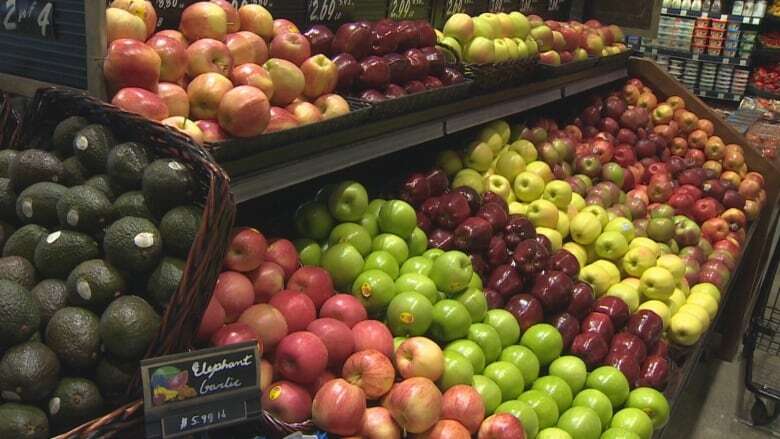 The store saw a dramatic increase in the purchase of fruits and vegetables as a result. The mirror was the nudge. In a Virginia store, each shopping cart had a line of yellow tape that divided the cart in half. A sign in the cart asked shoppers to put fruit and veggies in the front half of the cart, and everything else in the back half. When shoppers saw how few fruits and vegetables were in the front half compared to the less healthy items in the back of their carts, they were influenced to change the way they shopped. Produce sales shot up by 102 per cent. The visual of the dividing line was the nudge. Recently, several retailers and some New York City cabs have added a digital tipping feature to their tablet and mobile apps. 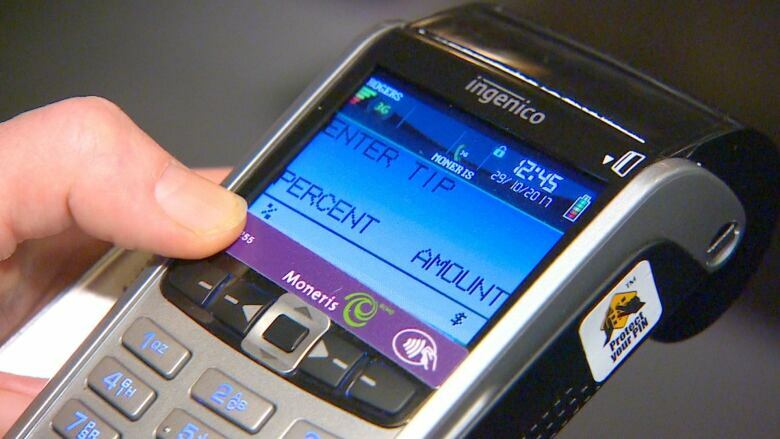 Calculating a tip is frustrating for many people. And research has shown that if you can lessen the amount of mental effort required to work out a tip – the greater the chance of leaving one. The first is called "Basic" and leaves 15 per cent. The second is called "Better" and leaves an automatic 18 per cent. The third is called "Best" and leaves a nice, fat 20 per cent tip. The presence of those three nudges has not only resulted in more people leaving tips – but the resulting amounts have been greater.